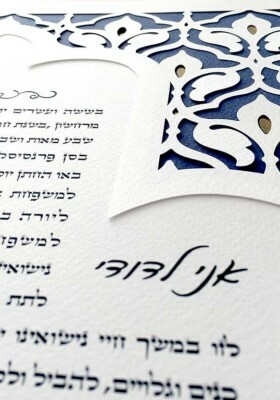 Papercut Ketubah art has been in the Jewish tradition for centuries, but the Jewish marriage contract itself has been with us for much longer than that. 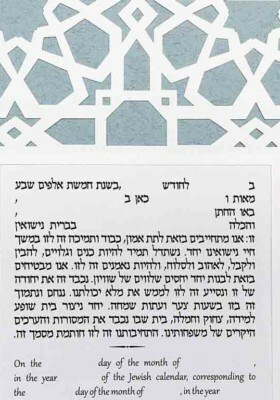 We have a record spanning back over two thousand years of Jewish couples getting married with a ketubah. 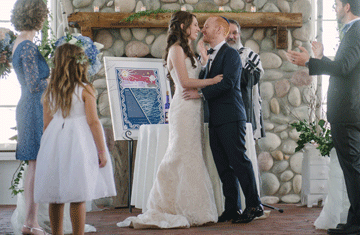 It is the cornerstone of a Jewish wedding and symbolizes the marriage itself. 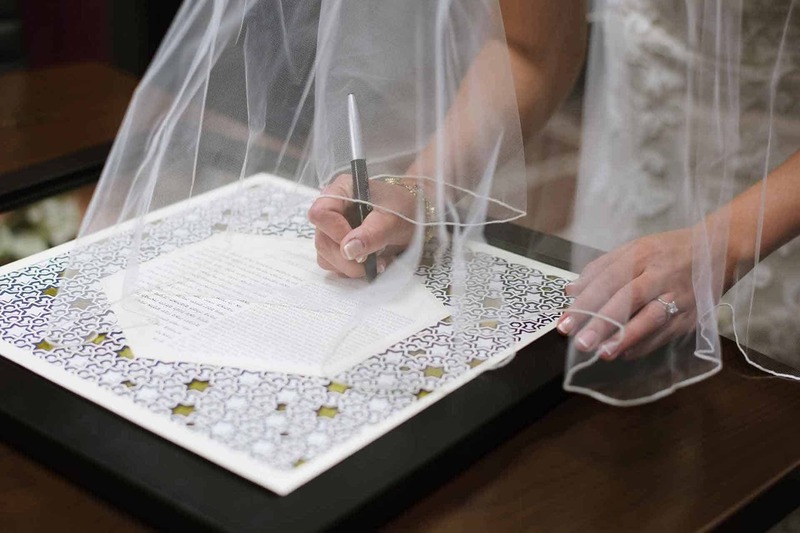 It is fitting then, that you would want to honor your marriage with beautiful handmade artwork to proudly display for a lifetime. 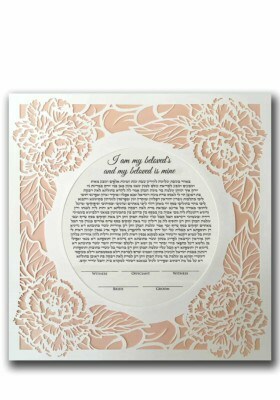 Every ketubah is made to order. So each one is unique. 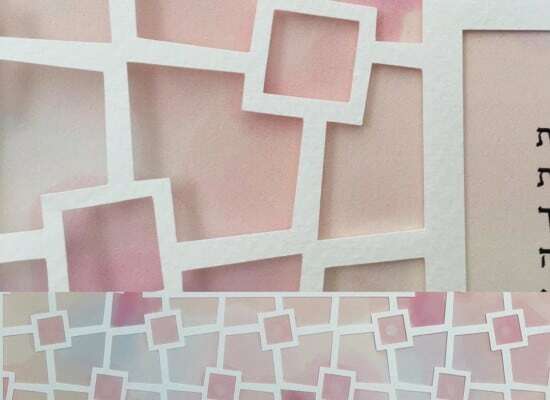 Customization possibilities range from color to adding design elements, all the way to commissioning a one of a kind design. 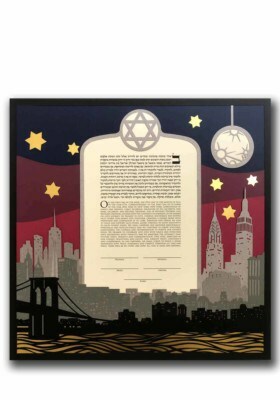 See the rest of our unique designs in our online ketubah shop. 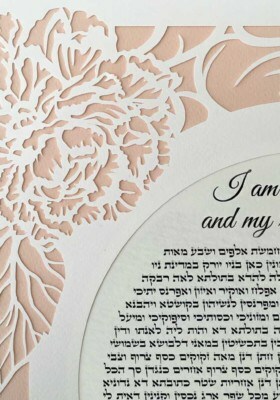 What is a Papercut Ketubah? 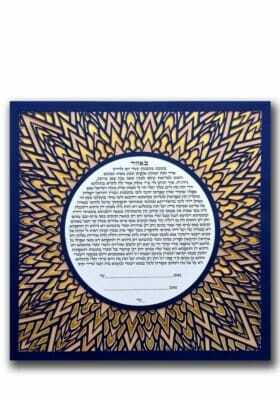 Simply put, a ketubah is the Jewish marriage contract. 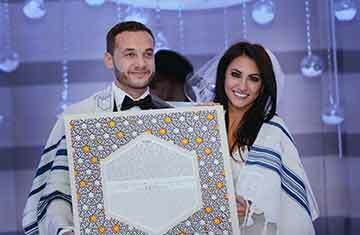 It is one of three basic requirements for a Jewish wedding according to Jewish law, the other two being the chuppah and the bride's ring. 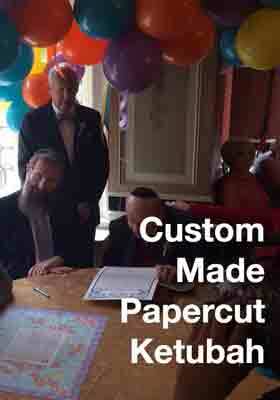 Everything else in a Jewish wedding is extraneous. Without these three items, the wedding ceremony cannot be performed. The Jewish marriage contract has been with us for thousands of years. It was the first document securing the rights of the bride. The text may seem dated, but we still use the same text that was used in ceremonies so many generations ago. 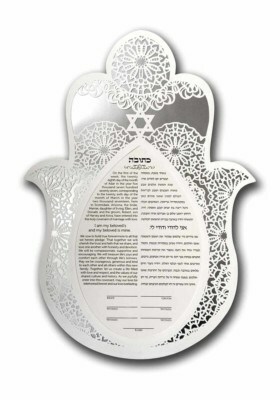 Our ketubot are 100% according to halakha and are appropriate for any Orthodox couple. We also provide ketubahs for modern weddings to serve the needs of Conservative, Reform, and Humanist or Secular couples. 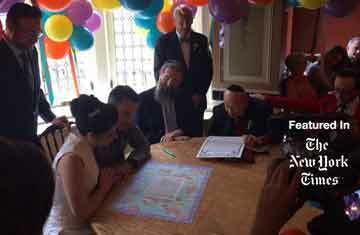 After the wedding day, only the photos, rings and the ketubah remain as mementos. 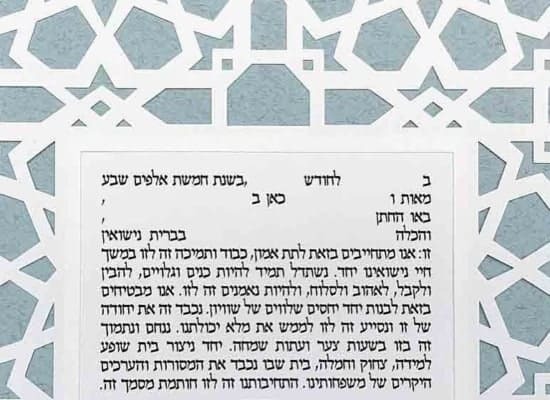 Whereas photos end up in an album, only to be looked at occasionally, the ketubah is displayed prominently in the home, always reminding the husband and wife of their commitment to one another and the obligations they took upon themselves. 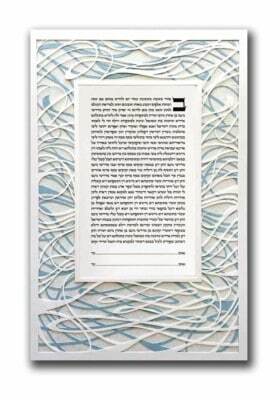 The ketubah is a work of art that holds a lot of meaning, making it precious like few other things can be. 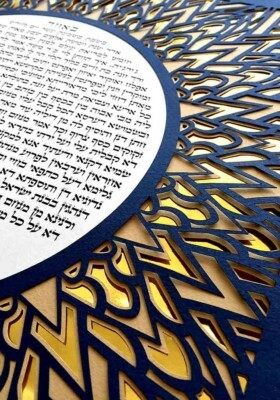 A papercut ketubah is created using the traditional Jewish art of paper cutting. 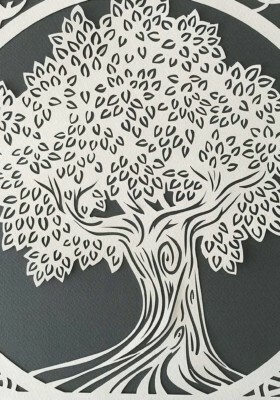 Paper cut art has been part of Jewish tradition since at least the middle ages, and possibly longer in Mizrahi communities. 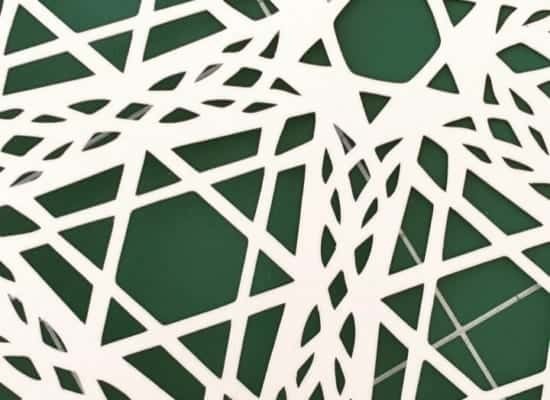 Ketubahs were traditionally designed with cut paper. Unfortunately, not many examples survived the second world war. 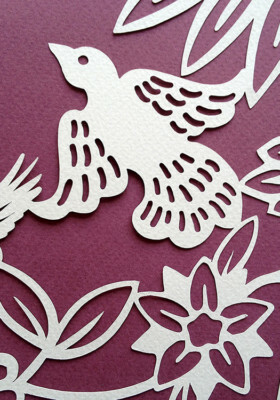 Jewish paper cutting has seen a resurgence in the late 20th century and continues a long tradition that goes deep into Jewish history. 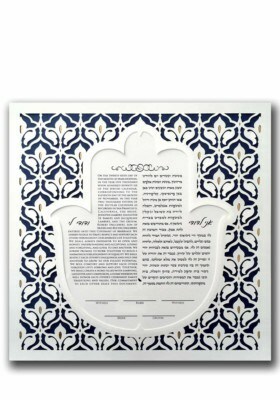 A paper cut ketubah adheres to tradition, but it can be stylish and modern looking as well. 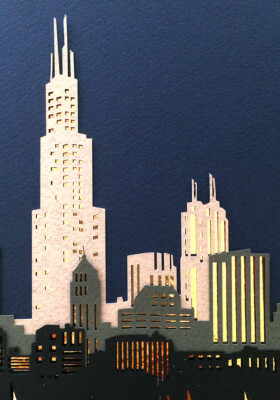 And most of all, throughout the years it will serve as a reminder of one of the most beautiful days in a couple's life.